The Lake House by Kate Morton is a contemporary mystery and what a marvellous read it is. It had me guessing throughout. I just could not put it down. I would come up with scenarios – each one shot down in flames! – I never did guess the ‘real’ story. The novel has the action alternating from the early twentieth century to 1933 to 2004. There are two parallel mysteries to be solved. The story is intricately woven and the reader follows with eager anticipation. The novel is searching for the truth. Seventy years have passed. Seventy years where the truth has been hidden. Now is the time to unearth the secrets. There is the theme of love running throughout the novel. Love takes many forms – parental, friendship, siblings, passionate love, sacrificial love. Love will motivate people for good or evil. Love will endure all things and conquer all. The novel covers the period of World War I. The soldiers saw such awful sights. No-one returned unscathed. PTSD was unheard of but existed. “He would be glad no-one knew how low he’d sunk…his dignity deserved that.” Soldiers suffered often in silence, often for years, for fear of shame and the stigma that would attach itself to the family. Family traditions are explored within The Lake House. For the upper classes, appearance and traditions were of utmost importance. The novel explores the effect of age in society. “Nobody noticed the little old lady sitting primly in the corner of the carriage.” With age comes the effect of being invisible to the younger generation. They forget that the older generation were once young and they once had active lives. They lived and loved and lost but now they are invisible. The Lake House has a marvellous cast of characters. There are two very strong women in the leading roles. One of them is definitely ahead of her time. Age has not diminished her personality. She is still forceful. The characters were all realistic and likeable. There are secrets in The Lake House. Secrets that have been hidden and carried for many years. It is now time to release the burdens and unearth the secrets. 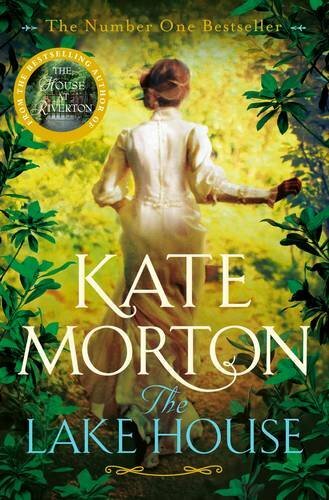 I absolutely love all Kate Morton’s novels. I become completely engrossed in all her tales. The Lake House is a compelling read and I can highly recommend it.